This is a review of both parts of Robotics;Notes. I was able to watch both parts in quick succession because of a hurt foot and compulsory residence on the sofa. It makes a big difference to the series. Part 1 (episodes 1 to 11) are great but give the impression of a carefully paced, feel good movie of some smart school kids trying to build their own giant robot. The mysterious virtual reality girl and murder mystery are safe undertones that help develop some of the characters. Part 2 (episodes 12 to 22) are just as great but take a sinister twist. There’s a suicide attempt, brainwashing, horrible murders and dramatic escalation. These are all reasons to love the impressive storytelling ability of anime as a whole. 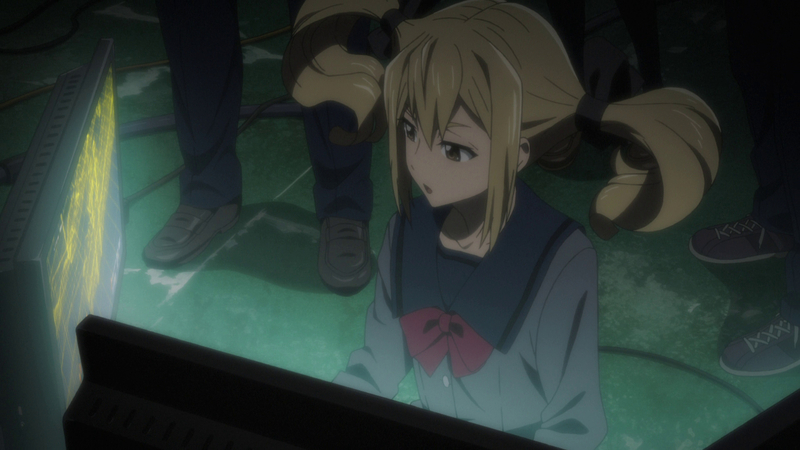 It just so happens that the Robotics;Notes team get it right with this drama. 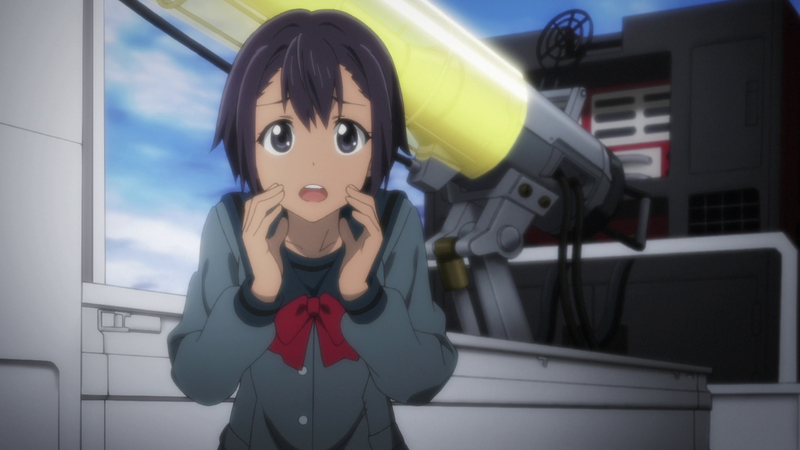 There’s some twists to the setup that make Robotics;Notes interesting from the get go. 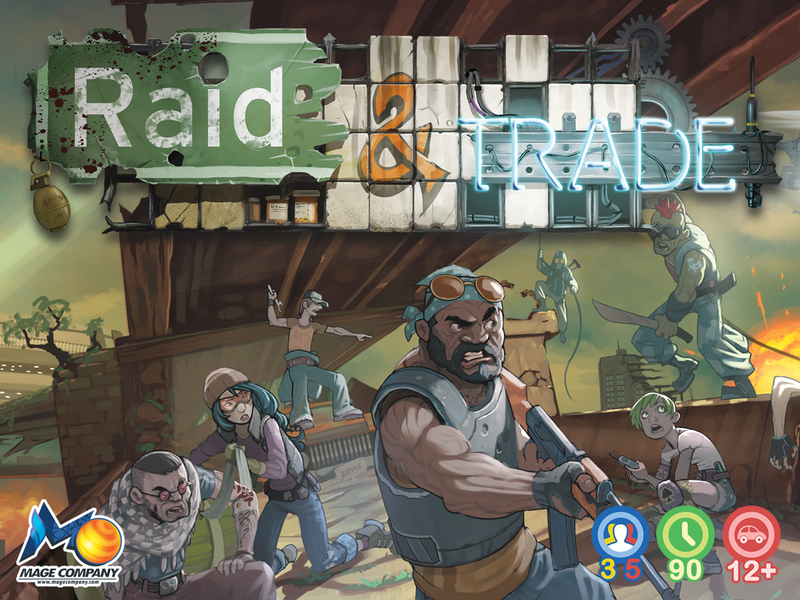 There seems to be two main characters; Kai and Aki. Kai is a gamer who doesn’t seem motivated by much. Aki is a schoolgirl who heads up the Robot Research Club at school. She’s a great female character and one to be proud of. The two are long-time friends and share a strange history – both were on a ferry in which a mass fainting struck the passengers. This is the first hint that there’s something sinister brewing in the background. It’s not until part 2 that the audience realise, or have confirmation, that these twists and undertones will become very important. The innocence of the first part is akin to childhood and part two represents a quick transition into the horrors of full blown adult responsibility. The Robot Research Club expands with interesting characters. I’m especially endeared of Frau Koujiro. Frau is a near-shut-in and computer programmer. She mainly speaks in internet jargon. This makes subbing and dubbing a challenge. I watched with sub-titles so Frau would occasionally say something long while the sub-titles read “WTF!” or “l33t”. There would be a lot of swearing in Robotics;Notes if the sub-titles ever explained what those F-laden acronyms actually stood for. 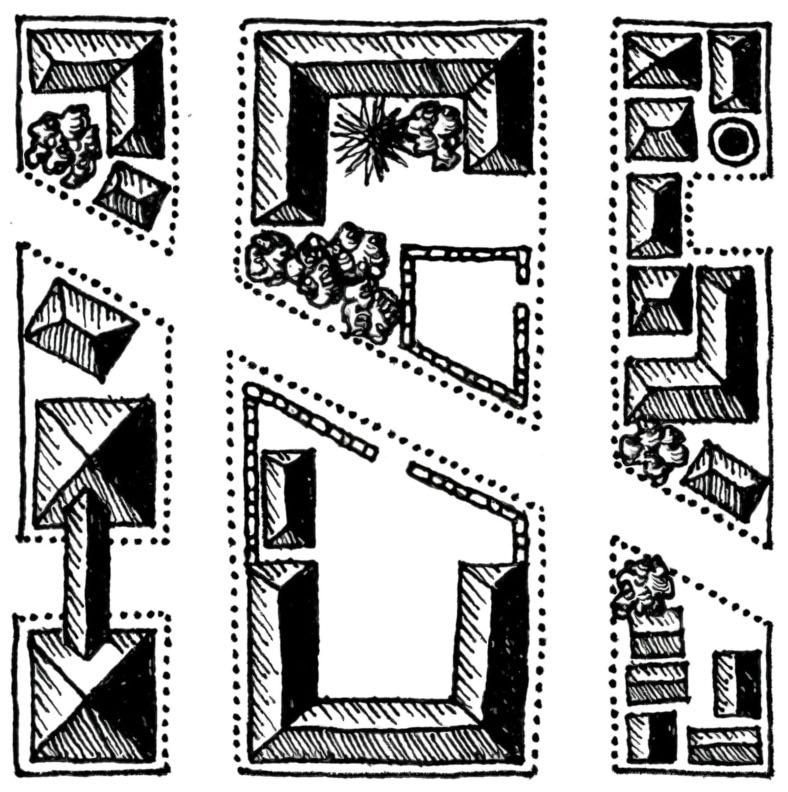 This is a near future sci-fi. Robots are basic things. In a lovely touch the characters pretty much live with their Android tablets – sorry, their PhoneDroid tablets – which they carry around in personalised pouches. I can see this being a real thing. There’s also the app “Twipo” which is the in-world equivalent of Twitter. If you’re a geek it’s really easy to relate to these young adults. 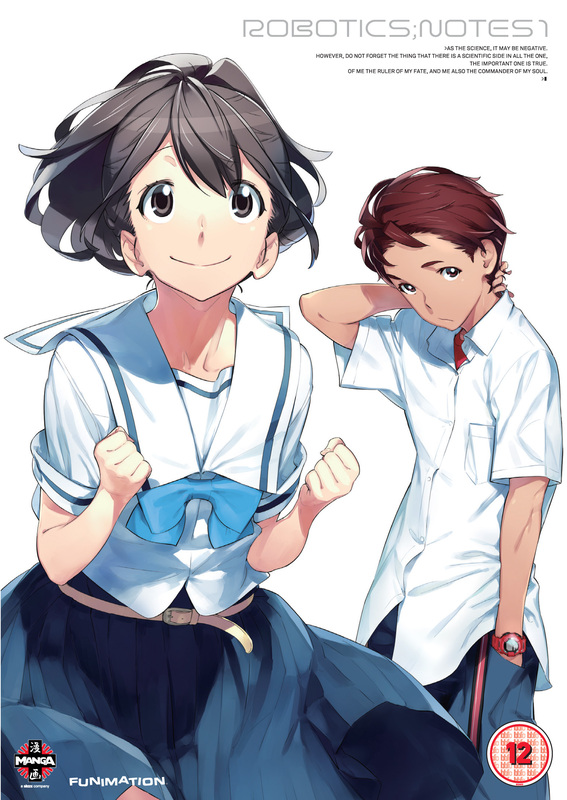 Robotics;Notes has a number of successes. The animation, I feel, is top quality and perfectly pitched along the lines of realism and fantasy. The characters are interesting, engaging and one you want to find out more about. When the plot focuses on any one character it doesn’t feel like a filler episode – it feels like an important contribution to the story. 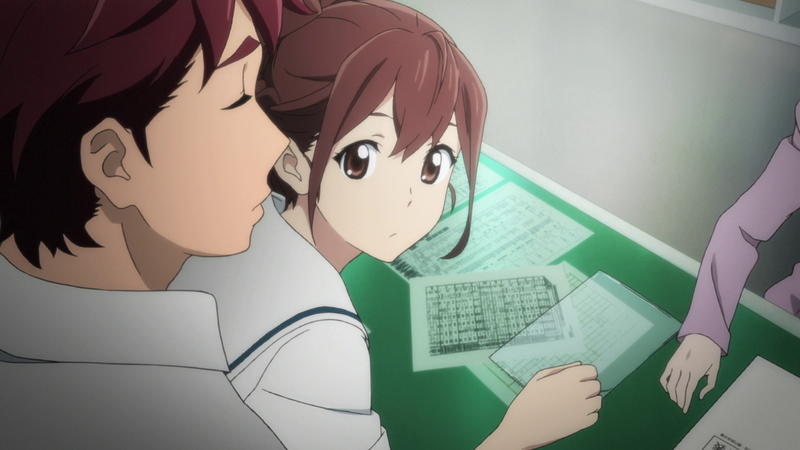 Most of all Robotics;Notes has a remarkable story. What is a robot? A big metal thing? A virtual bot living in a cyberspace? Could a person, a flesh and blood entity, ever be a robot? Even after the plot takes a turn for the anime-dramatic and world-ending dramas come into focus – I’m still left wondering whether they’ll ever get their ambition of their iconic robot built. My copy of Robotics;Notes was provided for review. Part 1 was released on disc in the UK on the 25th August, 2014 and part 2 came out on the 6th of October via Manga UK.